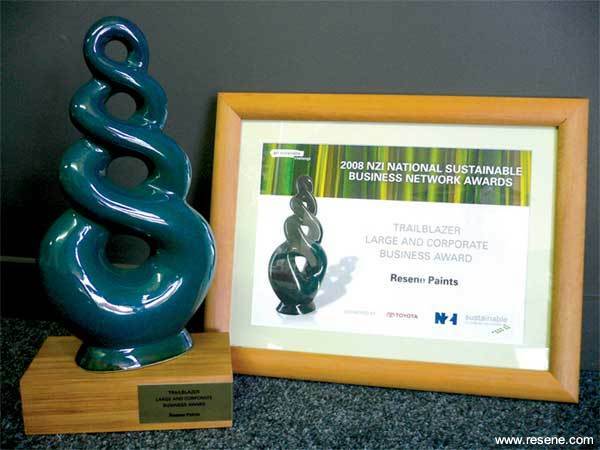 Identified as a trailblazer, Resene was recognised with the Trailblazer – Large & Corporate Business Award at the Sustainable Business Network – National Awards. This award recognises Resene as a business who has sustainability as a strategic part of their business operations, products and services and is a business innovator and leader positioned to maintain market advantages while providing ecological, social and financial dividends. For Resene, our sustainability journey started in the 1950s with the introduction of the first waterbased paint in Australasia, well before the term 'sustainability' was even coined. And like any good journey, we continue to build on our efforts and traditions. Learn more about Resene's environmental and sustainability initiatives.